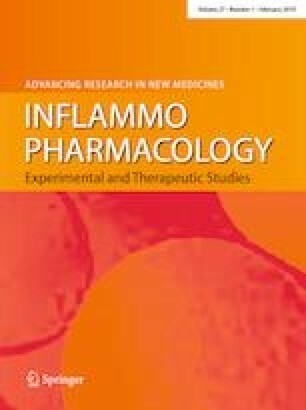 Polyphenol-associated oxidative stress and inflammation in a model of LPS-induced inflammation in glial cells: do we know enough for responsible compounding? Cyanidin and chlorogenic acid are polyphenols from plant origin that are present in many common fruits, particularly in berries. To corroborate the protective or detrimental effects of both compounds from a neuro-inflammatory perspective, in vitro experiments were carried out in human astrocytes (U-373). Astrocytes were pre-treated with a range of concentrations of either cyanidin, chlorogenic acid or a combined treatment for a period of 30 min, before exposure to Escherichia coli lipopolysaccharide (LPS) challenge for 23.5 h, after which cytotoxicity (propidium iodide exclusion assay), cytoprotective effects (XTT assay) and effects on functional capacity (secretion of pro-inflammatory cytokines IL-6 and MCP-1) were evaluated. No treatment resulted in cytotoxicity, but high dose (20 µg/mL) LPS significantly reduced mitochondrial reductive capacity (p < 0.001). This effect was prevented in a dose-dependent manner by both cyanidin and chlorogenic acid, as well as by the combination treatment. However, in the absence of LPS, IL-6 secretion was significantly increased in response to 2 µM of either cyanidin or chlorogenic acid (both p < 0.0001), as well as the combination treatment (p < 0.01). MCP-1 secretion followed a similar trend, but did not reach statistical significance. Although we acknowledge the requirement for in vivo investigations to validate our interpretations, current data highlight the potential risk for antioxidant toxicity that is linked to high dose supplementation with single compound antioxidants. Research focused at elucidating synergistic effects between different antioxidants is required to minimise risk of adverse effects. The South African National Research Foundation (NRF) is acknowledged for financial support.